This is our selection of the best events in Dublin August 2018. Well known artist Roderic O’Conor moved from Impressionism to a unique Expressionist style. He was a contemporary of Impressionists like Van Gogh and Gauguin and this exhibition shows his relationship with other famous artists of his time. This is the 6th year of the Rock ‘n’ Roll Dublin Half Marathon and is a great fun way to enjoy the sights and sounds of Dublin while keeping fit. Live bands play at various landmarks along the route. This is the 145th year of the Dublin Horse Show. It is one of the biggest and best known sporting occasions in Ireland attracting over 100,000 visitorsfrom home and abroad. 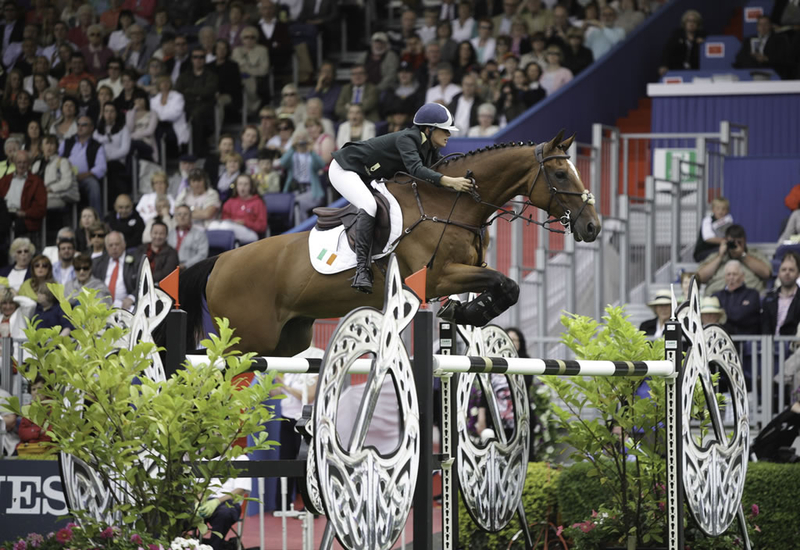 Some of the best showjumping horses and riders from Ireland and all around the world compete for some of the top prizes in the world. The Nations Cup (The Aga Khan Trophy) sees the top nations teams competing. As well as being a great equine festival it is also a great social and family event with live music, family entertainment, fashion, shopping, restaurants and bars and lots of fun for all ages. This famous melodrama was written in 1874 by Dion Boucicault and has been a favourite throughout the years having been played by numerous professional and amateur groups throughout the country. This version resonates with modern audiences, with its references to financial greed and scandals. This is a friendly before the start of Leinster’s 2018/19 season. Can Leinster equal or better their most successful season ever, winning the European Rugby Champions Cup and the Guinness Pro 14 at Aviva Stadium. Newcastle Falcons who were in Premiership play-off will provide stiff opposition. Zoologist, Sarah Sarsfield guides visitors on a special tour of the Natural History Museum as a part of Heritage Week which sees numerous events throughout the country. On this fascinating tour, Sarah gives talks about the “Dead Zoo” and the 10,000 specimens in the museum. Their debut album, Inflammable Material is still among their favourite material and their energetic performances still wows their loyal fans as well as new listeners. See them at The Academy yourself. This is billed as Europe’s largest barbecue and craft beer festival and is a culinary extravaganza, with barbecue gurus from all over the country bringing their expertise in the art of flame grilling to the festival. Chefs appearing at this year’s festival include:Grainne O’Keefe from Clanbrassil House, Argentinian Rama Basilio, Andy Noonan from Fowl Play, Nick Solares from The Meat Show and Fingal Ferguson from Gubbeen Farm. As well as lots of smokey goodness, there will be drink, music, challenges and lots more fun. Venue: Whelan’s, 25 Wexford Street. This free music festival taking place in Whelan’s of Wexford Street over three days. This is the fourth year of the festival,once again it has a great lineup in the blues, country, folk, and bluegrass music genre. Among the headliners are Bronagh Gallagher and her band, Mike Brookfield, The Mary Stokes Band, Ukulele Death Squad, Catfish Blues Orchestra, The 502s and lots more. Martin McDonagh writer and director, known for his films Three Billboards Outside Ebbing, Missouri (2017) and In Bruges (2008) as well as numerous plays including The Beauty Queen of Leenane is the author of A Skull in Connemara, another black comedy centred on gravedigger Mick Dowd, played by Pat Shortt, who is the subject of rumours about the death of his wife seven years earlier. After one of the most exciting hurling championships ever we are left with the last two. Galway are All Ireland Champions 2017 and got here after a thrilling replay against Clare in the semifinal but Limerick have shown great skill, grit and determination and will be looking to dethrone the champions to gain their first All Ireland Hurling title since 1973.